PartisanIssues.com has taken position that Britain’s exit from the European Union (Brexit) will not actually occur likely because the current Conservative government will fall, forcing an new election in which Brexit is the big issue resulting in British citizens voting to stay in the EU. 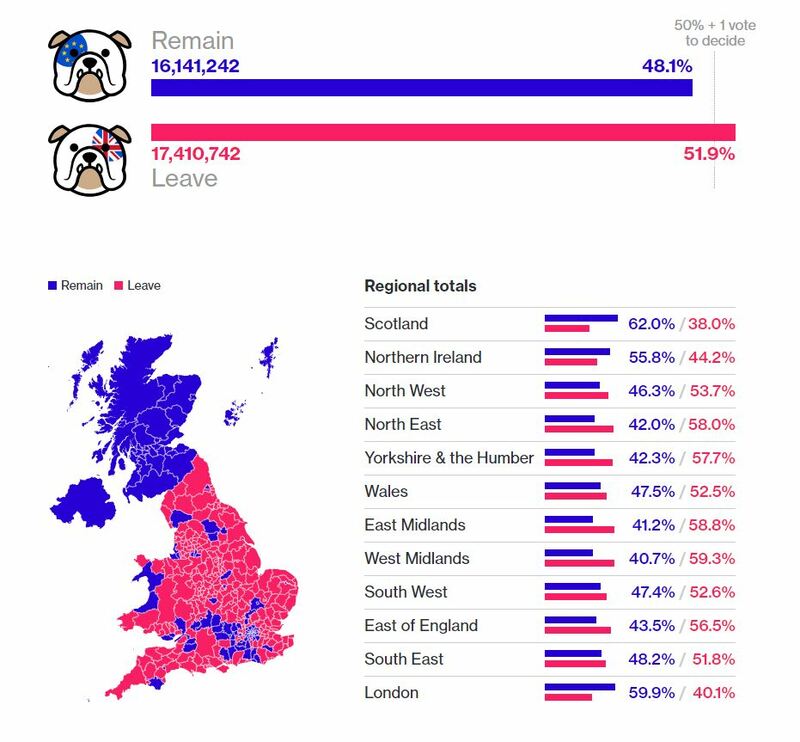 the vote to leave the EU was so narrowly decided . Often there is a “post purchase anxiety” that kicks in after such a win and recent UK poles show British population today would vote to stay in the EU. The vote largely divided rural against urban and England against its ‘territories’ of Ireland and Scotland.